Somebody has a Suburban of this color in my neighborhood, and that's the first thing I think when I see it is fire truck! LOL Yeah, dealerships never stock this color. The neutral/bland colors are the easiest to sell, so that's what they stock. I'd have preferred a blue myself, but was shopping for a closeout 2018 in dealer inventory, and couldn't find one in that color with the options/config I wanted, so settled for a Pepperdust with the exact options, minus the 22" wheels, but they look nice. Congrats! Looks awesome! I also saw a special order red Tahoe sitting at a dealership once and looked pretty sharp. Enjoy the new ride. Hit 5000 miles on the truck over the weekend. So far very pleased and no major complaints, just minor nit-picks. The A/C Recirc mode doesn't filter out enough odors. From what I've read on here, it's only 60% recirculated air versus 80%? Whatever it is, it's not enough to keep odors from smelly cars and smokers out, which is annoying, and probably my single biggest complaint. Love the "Enhanced DIC" display, but there's way too many info pages to scroll through, none of which really display all that I want to see at any given time. It seems like there's a lot of wasted space, and that a lot of these info pages could be combined. Why do I have to have a big digital speed display just to see the main odometer, for example? Couldn't that be displayed permanently at the bottom along with Trip A or Trip B mileage while displaying other things? Just seems odd that I can't see Trip A miles and total odometer miles while also on the live fuel economy display, and that I have to keep switching menus. Also, when you enable the navigation mode in that central display, it should be able to use much more of the display than just the tiny square they give you, with no ability to zoom in or out. Love the display itself, but just seems not well organized and a lot of wasted potential. The stock engine sound and exhaust note is very "truckish" sounding and not the least bit exciting. Wasn't expecting anything else, but the L83 is just begging for an aftermarket exhaust of some sort. If I did a custom order, I was going to get the factory Borla setup as an option, but ended up buying off the lot. I'll have to put a mild exhaust on this thing at some point. The ride could be better, but it is what it is with the factory 22" Bridgestones. Nobody has any major complaints serious enough to warrant any corrective action, and no major body resonance or buffeting issues on this truck, thankfully. Just going to ride out the Bridgestone tires until they wear out, and then replace with the Michelins. If you're stuck behind slower traffic with Adaptive Cruise and switch lanes, it tries to recover speed waaaay too aggressively, as in multiple downshifts and near full throttle. LOL! Dude it's a Suburban, it's okay if it takes a little longer to get back up to speed. It's pretty obvious that the Adaptive Cruise speed recovery algorithm was probably calibrated for a much smaller (and lighter) vehicle where the speed recovery rate it's trying to achieve might have been more reasonable. But overall I do like Adaptive Cruise, and it definitely takes a lot of the fatigue out of long distance driving, I just need to remember to disengage it when maneuvering and then hit resume once in the clear again. If GM can make good on the supposed benefits of an independent rear suspension for a next generation Suburban, with an inch or two lower load floor for a bit taller vertical rear hatch cargo opening area, that would be a very meaningful improvement. Love all the cargo space, but yeah the high load floor and narrower cargo opening area does inhibit loading some things. And that's pretty much it. Love the truck! It's working great for us and was a great purchase. It'll really come into its own when spring arrives, and we start doing more weekend trips with all 5 of us plus the dog. Will also load our bikes into the back for some stuff. Yes, typical level of equipment and higher rates of problems on optional equipment that lower level models might not have can definitely affect the reliability rankings. 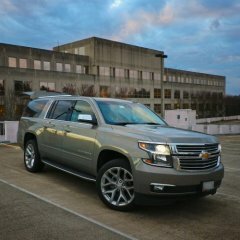 Typical use can also affect things, with Chevy being a mix of all vehicles the brand makes, and GMC only being trucks and SUVs. There really isn't a big difference in this list anymore. Geez, I'm shocked to see Honda below industry average here, but the "industry average" has kept getting better and better, so take it for what it's worth. BMW has really cleaned up their act. Both of ours are/were pretty darned good, although I intentionally kept gizmo options to a minimum, because that's exactly the stuff that breaks and then becomes super expensive and a pain to repair or keep working. Most BMWs are pretty well equipped. "Vehicle reliability" isn't really much of a distinguishing factor anymore, because most brands are pretty darned good unless you're Dodge/RAM, or Volvo and Land Rover, both of which had seen a lot of ownership changes. Not sure they can use that excuse anymore, but for the most part this is splitting hairs in the top 3/4ths of the list. You just don't want to be at the bottom. That said, people here in the D.C. area are lapping up the new Volvo XC90 like crazy. Probably doesn't hurt that the Volvo dealership is literally across the street from my neighborhood. I figured there had to be a fair number of tweaks made to the overall powertrain calibration over the years, because my truck isn't lethargic at all, and I hear that word mentioned a lot in reviews. It's not by any means fast, but when you need it to move it moves. I'm pretty happy. This is also why I prefer to buy mid-cycle refresh models or later if at all possible - get one with all the bugs worked out and tweaks made. Totally new to GM here. Just curious, what was the gas pedal like before and how is it now? 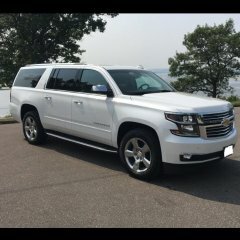 I have a 2018 Suburban Premier with 22" wheels, and nothing to really complain about. There's some mild "body resonance" type issues at around 63 or 66 mph, but it's easy enough to just avoid those speeds. Since you're looking at a Z71, I'm guessing it doesn't have 22" wheels, which are part of the problem. The main issue are the Bridgestone tires. Most are happy just switching to Michelins, and/or downgrading to 20" or smaller wheels from what I've read. It only becomes a fiasco because GM apparently won't warranty replace the tires with Michelins, only the crappy Bridgestones and then having to do all sorts of road force balancing. I guess I don't have any of the "chevy shakes". I think most of the production changes that were made to improve these issues were rolled in by the 2017 model year. Yeah, just be sure to take it for a very thorough test drive, including up to highway speeds. I did with mine. On the contrary, I'd argue that fuel-saving technologies such as direct injection and variable displacement systems are what's keeping these big V8 lumps relevant in this era of engine downsizing and stricter fuel economy standards. Ford sold out in favor of their EcoBoost engines, which only have better fuel economy on paper. I like that I can have my cake and eat it too with the GM V8 engines, and I probably wouldn't have bought one of these trucks without the fuel economy they get. It's just a shame they didn't get the technology right on the first go-round, but who does? Maybe the Japanese, but certainly not GM. These are 2nd generation AFM engines now, and the newest ones that can do dozens of different configurations and not just V8 or V4 are 3rd generation. I think they resolved most everything after the 1st gen AFM (DoD) engines. These trucks are old enough now that if there were going to be major issues in that area we'd be hearing about them. And unlike some other manufacturers, I think GM has a pretty good record on generally avoiding intake valve deposit issues from direct injection too. Can't move forward without technology, and technology, especially new ones, will never be perfect. I'm sure the Toyota Sequoia is more reliable overall than any GM truck. It's also too small and only gets 17 mpg highway. LOL. Six of one, half dozen of the other pretty much. GM claims to have made numerous improvements to the 8-speed starting with the new-gen trucks, so I guess we'll see. I don't get the 10-speed. It doesn't even have as wide a ratio spread as some of its competitors, it skip shifts most of the time, all of which makes it more complicated than it needs to be, sooo.... They're not saying it's a marketing ploy, but that's exactly how I see it. I'm not really a fan of engineering for the sake of just looking better on paper, but I hope the 10-speed proves to be a winner. Personally, I think 8-speeds are just about perfect if you get everything just right (shift quality, mapping, feel, durability, etc. ), which of course is harder to do the more complicated something is. I think 6-speeds are about as good as long as the ratios and final drive are appropriate, and depends on the engine too. Diesels with their narrow torque bands can definitely use some extra gears, but modern turbocharged 6-cylinder gassers and V-8 engines with their super broad torque bands do just fine. That's just for shifting in and out of 4LO, and you have to be in Neutral and preferably rolling 1-2 mph to do it, and it's for off-pavement only. AUTO for launch and then to 2HI you can do on the fly, along with going to and from 4HI, but 4HI is also off-pavement only. ^^^ Yeah, whatever they do, they can't afford to get it wrong. I've sat in or checked out just about every truck-based SUV, including the new Expedition. Don't expect IRS to be like a miracle pill and suddenly make an unworkable 3rd row perfectly usable and comfortable. A lot more to it than that, but that's not stopping a lot of manufacturers from using this as a marketing ploy because "in theory" it might give you more space even if it doesn't in practice, and from trying to make people think that anything with a live rear axle "donkey cart suspension" surely must have a totally unacceptable ride and an inferior amount of space. In reality, anybody who really needs to put people in the 3rd row of any of these "standard length" truck-based SUVs regularly aren't, because they're all a joke. They buy a car-based SUV like a Mercedes GLS or Buick Enclave, or just get a Suburban/YukonXL/Escalade ESV, Expedition Max, or a minivan. I went to check out the Ford Expedition MAX at the car shows the other year expecting to be overwhelmed by how much more space it had than the Suburban, only to realize the opposite. Dunno where all the space went, but there's nowhere near enough cargo space, and the seating really didn't feel all that much roomier despite IRS and what Ford "claimed" about their specs. 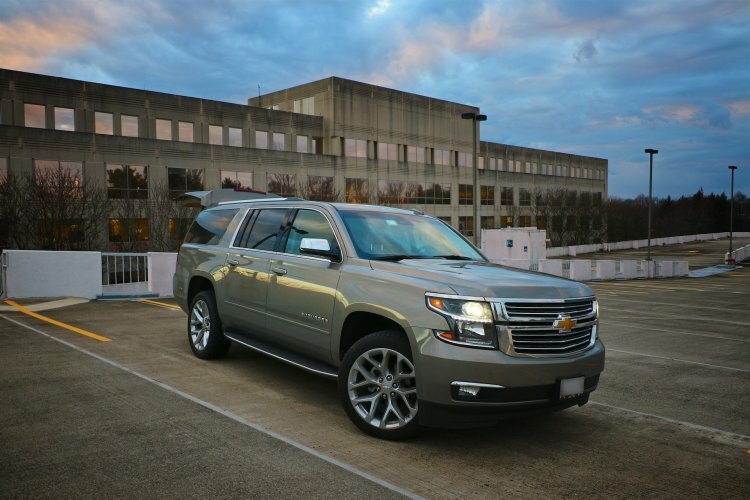 Meanwhile, nobody has any complaints about our new Suburban in any row, it has plenty of cargo space for all of our gear, and the ride is still acceptable despite the donkey cart live axle rear suspension and 22" wheels. 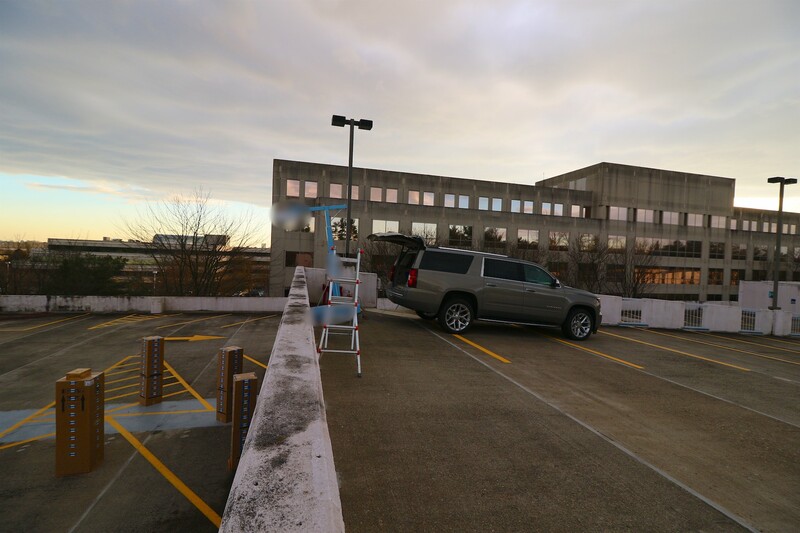 That said, I would welcome an IRS setup on the GM SUVs, mainly for the lower "potential" load floor and "possibly" being able to swallow a bit bulkier cargo through the rear hatch along with making things easier to load, but hope they don't break anything else while doing it. IRS for the sake of IRS just so you can say you have it while not actually making good on any of those marketing promises while "potentially" going backwards elsewhere isn't my flavor of engineering. Guess we'll find out. Threw it from 2HI to AUTO after driving around this afternoon with the entire driveline nice and warm, and there was hardly any additional noise. Didn't sound much if any different than 2HI. My commute is 1 mile, and I bought the truck the first week of Nov 2018 when the weather was still warmer and didn't seem to do this, so this might be some sort of screwy cold weather & cold driveline transient noise issue that goes away once the driveline is warmed up, which doesn't happen much for me lately. I don't think there's anything wrong, but will definitely mention it when I bring it in. Yeah I’ll definitely mention it to the dealership when I take it in for service. There’s probably some truck-to-truck and ear-to-ear variability, but I didn’t seem to notice any noise while in AUTO when it was new, so will definitely mention it when I bring it in. Yeah, I’m wondering if the front differential fluid levels are low? Have never noticed any leaks on the ground. Thanks for the feedback.